Parks Canada said it's letting provinces and municipalities make the rules when it comes to cannabis consumption in national parks. That could mean some confusion for visitors to Banff National Park once cannabis is legal as of Oct. 17. The townsite itself has banned public cannabis consumption, but in registered campsites, in the backcountry and on hiking trails in the rest of the park, visitors will be able to light up. That's because national parks are treating campsites as private spaces, like a home or a yard. 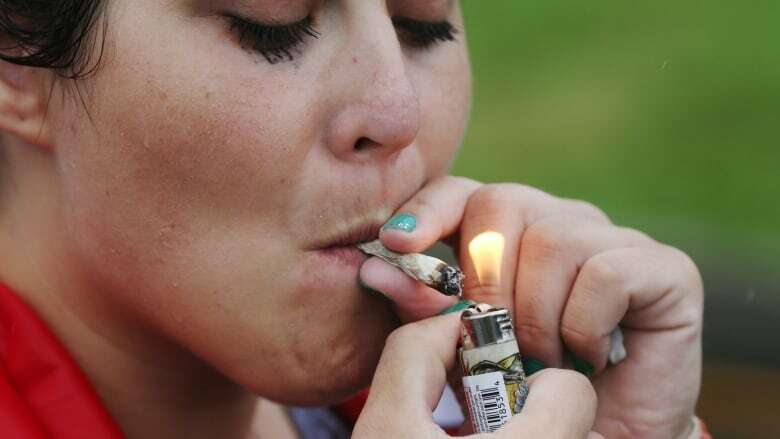 Visitors won't be allowed to smoke pot in common areas, like playgrounds, kitchen shelters, washrooms or parking lots. Parks said it's similar to the approach taken for the possession and consumption of alcohol. Parks is recommending visitors look up the rules before they visit to make sure they understand that in each national park they might be different, based on the province or municipality. "Be prepared, plan in advance, take a look at the municipalities you're going to visit in the province you're going to visit," said Marie-Helen Brisson​ of Parks Canada in a media teleconference Monday. "The Parks Canada website has a lot of information about the different provincial and territorial policies." Wardens will be monitoring areas immediately adjacent to the townsite, like Vermilion Lake, to ensure that cannabis consumption doesn't become a serious problem in the same way they watch for illegal campsites or parties where alcohol is being consumed. "In terms of park wardens, they already are doing the work now. It doesn't change on Oct. 17," Brisson said. There won't be any retail cannabis stores open in Banff when legalization comes into effect this week, but the town is looking to put a bylaw in place and is expecting more than a dozen retailers to apply.